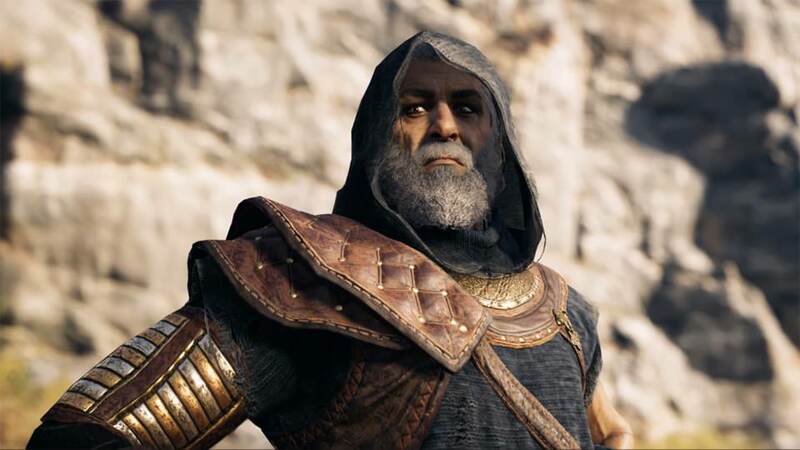 Assassin’s Creed: Odyssey is a sprawling and expansive game with hours of content, which makes it even more impressive that Ubisoft still have stories to tell. The Misthios has attracted plenty of attention and enemies throughout the course of the base game, though, and it appears a cluster of them have travelled from Persia to find you. That’s where Legacy of the First Blade – a three-part episodic story arc begins. Among other things, players will finally get to meet the first person to wield the infamous Assassin’s hidden blade and learn more about its origins. You will also need to be at least Level 28 and have reached Episode 7 in the base game. Hunted begins in Makedonia and sees you trudge through the Swamps of Thermes and chart the Unexplored Mount Pangeon during your playthrough. After stumbling upon a village soaked in blood and devoured by chaos, you encounter a hooded man called Darius who immediately challenges you to combat. But after a pretty epic tussle, he soon realises his mistake that he’s not here to hurt, rather help you. He’s in open war with The Order of the Ancients, a ruthless group led by a masked marauder. But they are also in search of ‘a tainted one’ and it seems the taint is strongest with the Eagle Bearer. Darius tells the Misthios that the Persian threat is unlike anything else you’ve faced to date and so an alliance is formed to effectively quash the evil doers. Darius isn’t exactly telling the truth, though. Because The Order of the Ancients are just like the Cult of Kosmos. At least, the way in which you deal with them is. The whole crux of this DLC plays out almost identically to the core of the base game with a family tree-like structure where you work your way up to the big bad. Admittedly, you’re dealing with a much smaller tree this time around with just 7 members to defeat and assassinate, including their enigmatic and bloodthirsty leader, The Huntsman. But you’re still gathering clues, striking them off your death list, then looting their corpses for some suitably legendary gear. The DLC blends in well with the main narrative, though, and maintains its focus by keeping you in the Northern district throughout. The Odyssey map is massive with so many islands to visit and explore, so for once it’s nice that all of your objectives don’t have you travelling top to bottom. For a one-part episode that stays in one region, it’s also surprisingly big. There’s at least five hours worth of objectives, story, and exploration to be done here, but potentially more depending on how much time you want to spend. Between simple events, fetch quests, assassination missions, and everything else in-between, Hunted has a lot of variety to keep you busy. Impressively, the DLC never loses its focus and the story holds up really well throughout, building up enough to intrigue you, but also prepare you for what’s to come next. Being unsurprisingly combat heavy, you’ll need to make sure you’ve levelled up enough to contend with the threat. Fortunately, by the end of it, you’ll have some amazing gear to equip that will be a welcome gift for the rest of the game. Aside from that, Hunted doesn’t add much different from the base game. Despite being episodic, Hunted is a mostly self-contained tale as you track down the Huntsman and build an alliance with your new friends, but obviously there are still plenty of unanswered questions which will be uncovered throughout the season. Towards the end, I did encounter a severe hard lock-up which crashed my entire PS4. I’ve had it since launch day, so it’s played a lot of games, but this is the first time this has ever happened and I was a little spooked. The game wouldn’t close and the system couldn’t even turn itself off. Not good. There were also a few points where the game lagged and chugged along, which is really odd because the base game is mostly seamless. During battles there was a lot of input delay and short freezes on screen despite uninterrupted sound effects and music in the background. As mentioned, there is also plenty of content repetition here which makes Hunted – and likely all of Legacy of the First Blade – feel like an extension of what you’ve already played rather an end product which evolves the game in different ways. And it is level-gated, meaning you can’t just jump into this DLC from the beginning, you will have to get quite deep into the game to access it. At least twenty five hours worth. 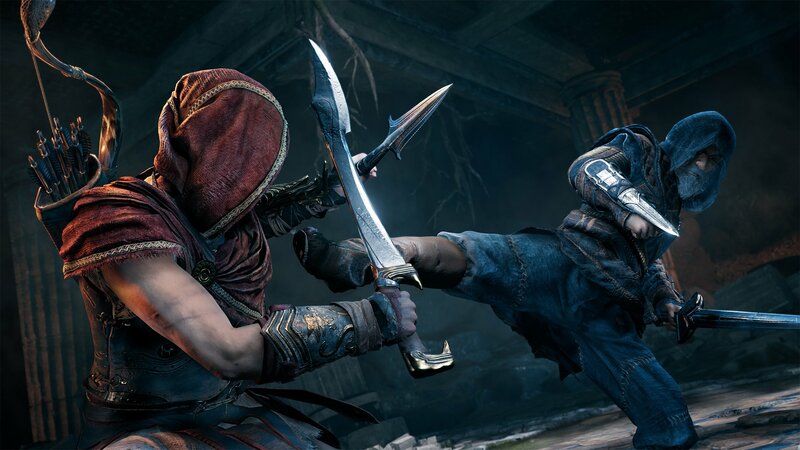 All that said, Hunted is a strong start for the Legacy of the First Blade portion of the Assassin’s Creed: Odyssey Season Pass. I’m intrigued to peel back some of Darius’ layers and learn more about The Order of the Ancients pursuit of the Misthios. 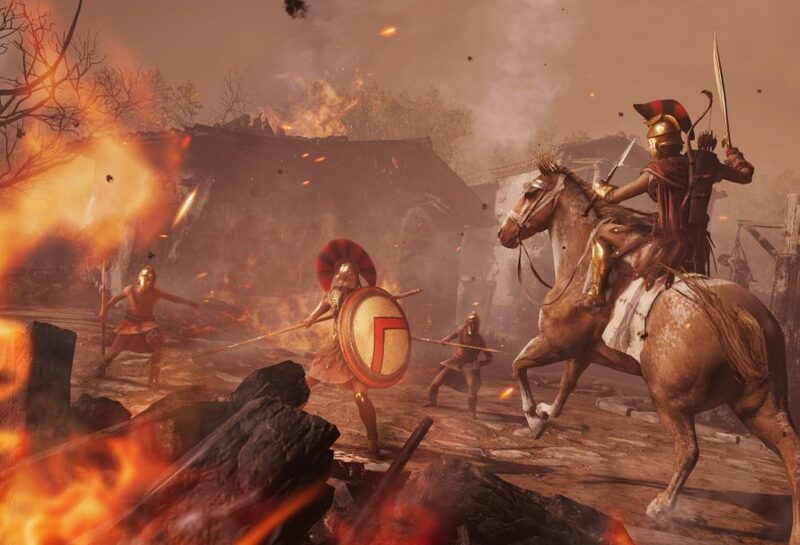 Amazingly, Hunted has made me want to play even more of Assassin’s Creed: Odyssey which, after a hundred or so hours, is quite an impressive feat. – Level-gating means you can’t access content until late on.